From first lines of code to thousands of visitors, your site deserves excellent hosting and proper workflows. We're here to help. 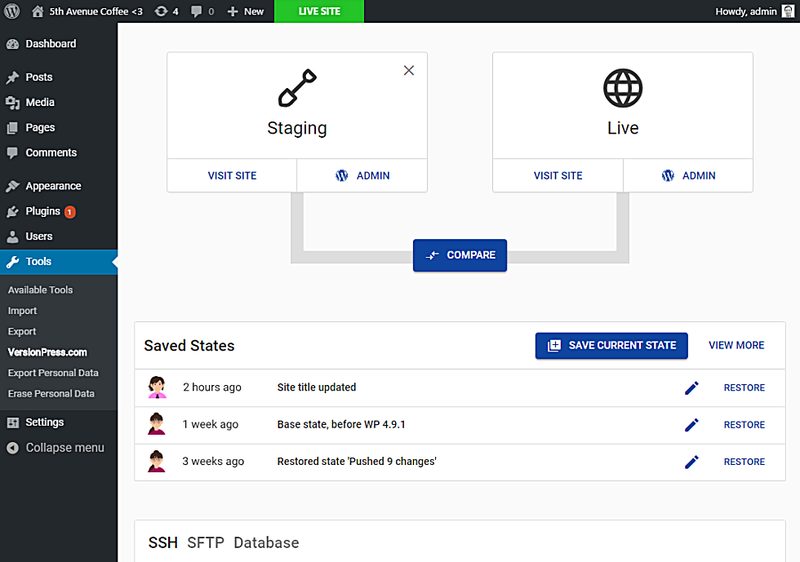 Built on containers, you get fast PHP 7, HTTP/2, free SSL and full SSH access. That's how it should be. Database merging makes all the difference. We made it available on free sites as well. VersionPress is an effort to improve workflows in WordPress, forever. Join us on the road. Built on containers, VersionPress.com is a highly efficient hosting platform. We also include developer goodies like WP-CLI, lovely web terminal or full SSH access. You should be able to push your changes to production without overwriting live database, right? And undo stuff when things go wrong. On VersionPress.com, you can. Currently in developer preview, VersionPress is an open-source plugin that integrates WordPress and Git. Database merging is an important problem to solve, I'm a big fan of VersionPress! As a developer, I want to have websites under my control. VersionPress.com gives me live & staging environments, WP-CLI and excellent support. VersionPress.com is my preferred WordPress hosting: fast & great value for money.